A convergence of forces (such as the Do Not Call Register, multiplying communication channels, offshoring, and technology adoptions) have many Australian contact centers wondering if their days are numbered. Justin Tippett of Contact Centre Central, an Australian-based resource for people working in contact centers, interviewed several executives in the contact center and business process outsourcing (BPO) industries to assess the situation. According to the business leaders, the current environment holds vast opportunities—not the death knells that contact center industries feared. One executive pointed out consumer expectations and enhanced customer service and experiences as a positive force—another suggested an increase in customer contact volumes (a factor that could be explained by the growing number of contact points: telephone, email, social, mobile, chatbot, et cetera). The interviewees also illuminated the trend toward digitally transformed enterprises and broad focus on operational efficiency. Almost all, however, return to opportunity found within the customer experience, a point validated by multiple reports and white papers. •	IDC’s 2016 “C-Suite Barometer Survey” reported Australian organizations view customer experiences as their top priority, an aim supported by IDC Australia’s 2016 “Contact Centre Survey.” The second survey disclosed that 58 percent of organizations are placing the responsibility for enhanced customer experiences on contact centers. Obviously, customer experience stands as a prominent goal for companies and contact centers, not only in Australia but also around the world. Achieving that aim, however, requires investing in specific technologies and practices, such as the omnichannel communications and personalization mentioned by Dimension Data. In addition, that goal is efficiently met using cloud based contact center solutions and easy access to data analytics. 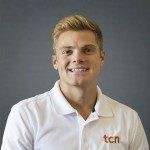 TCN’s cloud based call center platform meets all those requirements, helping Australian organizations and contact centers remain viable and profitable. To explain those gains, five components and benefits of TCN’s solution are outlined below. 1. Flexibility. The TCN cloud based call center powers a diverse set of applications, including collections, healthcare, and BPO. By employing the solution, Australian contact centers can adapt the technology to fit their specific needs, whether it be omnichannel outreach, closed-loop reporting or any of the many ways to enhance the customer experience and returns. 2. Integration. TCN integrates myriad APIs, such as customer relationship management (CRM) tools and collections software. As a result, Australian contact centers can easily manage every aspect of the customer experience—as well as decrease the time spent logging into and managing multiple tools. 3. Responsivity. TCN’s cloud contact center solutions enable blended call flows, which enhances a center’s responsiveness. The platform seamlessly switches agents from reaching out to customers (outbound) to answering calls that come into the contact center (inbound). 4. Analytics. TCN’s platform provides rich datasets, delivering insights that managers and executives can use to positively impact operations. In addition, TCN offers Business Intelligence, an add-on component that improves financial forecasting, agent scheduling, and overall company performance. 5. Customer Focus. TCN continues to expand its cloud contact center solutions, adding components that address the demands of today’s customer. As an example, TCN recently deployed AgentSMS, a feature that allows agents to reach out to customers via one-touch response text messages. Change is coming to the contact center, and those in Australia can meet it with TCN’s cloud contact center solutions. To see how TCN’s platform transforms contact centers into customer experience hubs, as well as increases competitiveness and profitability, download TCN’s eBook “Fred Flintstone vs. George Jetson: 6 Reasons Call Center Execs are Moving from On-Premise Solutions to the Cloud” today.